Many people with diabetes do not want to start insulin or other injected diabetes medications because they have many fears. Some people fear needles, injection pain or worry about taking a shot. Some people have concerns about the safety or convenience of diabetes injections. Some people even fear that starting injected medications is the “end of the road”. 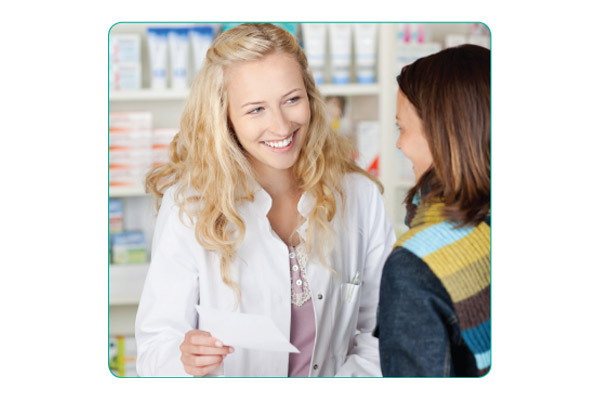 Your community pharmacist can answer your questions about injected diabetes medications and can help you make the right choices to help you achieve your blood glucose goals. We have made great strides in treating diabetes over the last decade. One of the big changes is that insulin and other injectable medications are being prescribed more often and much earlier to improve health. They work very well to manage blood glucose, but they do require an injection. Luckily, most of these medications are now available in pen devices and some manufacturers are continuing to introduce newer, innovative pen needles. professionals in hospitals for years. 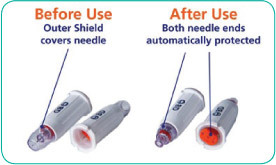 The BD AutoShield Duo™ Pen Needle has shields on both the front and back of the needle which help avoid accidental needle sticks before and after injecting. The shields also may help make the injection process easier for patients that are anxious about injections because the needle is concealed during the entire process. in blood sugar levels and may increase pain. Shorter needles are safer and less painful because they enter into the fat tissue right under the skin. which may benefit people with arthritis or reduced dexterity. The short needle length means that you can inject without pinching up your skin,*2 there’s no inner needle shield to remove and the needle does not need to be re-capped to be removed from the pen. This means two less steps in the injection process! 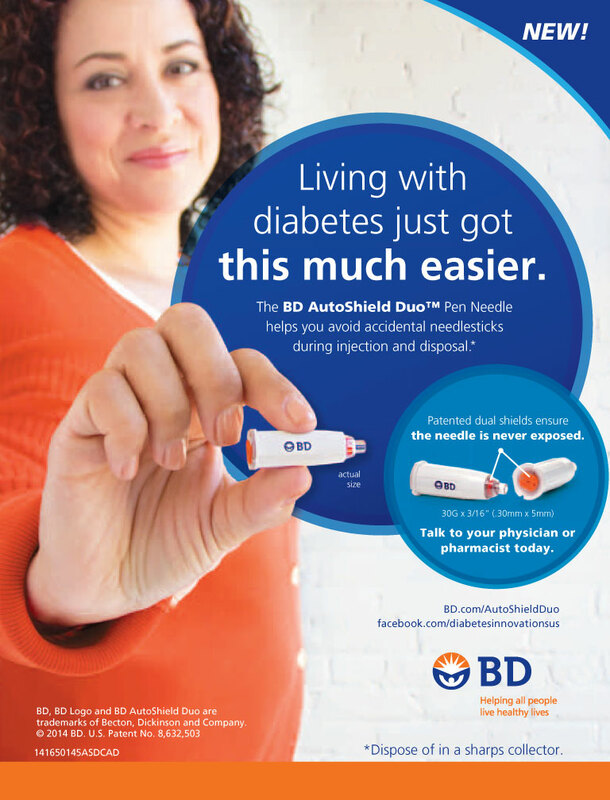 If your doctor recommends insulin or another injectable medication for you, ask your pharmacist about the BD AutoShield Duo™ Pen Needle. It fits on all leading diabetes pen devices in the U.S. and is covered by most insurance plans. #¥Your pharmacist can help you decide whether it is the right pen needle for you. # Compatible with all leading insulin and GLP-1 pens in the US as of May 2014, ISO-compliant. ¥ Co-pays and preferred status vary by plan. * Patients ages 2-6, those who are extremely lean or with loose skin may require a pinch-up. an angle towards your fingers. 1. Hirsch et al. Comparative glycemic control, safety and patient ratings.